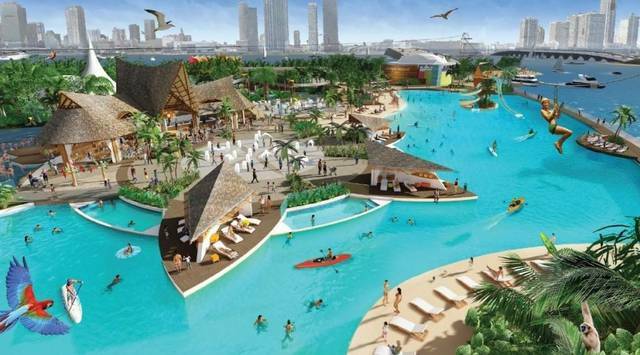 The $60 million sale of the Jungle Island amusement park on Miami’s Watson Island has closed, and new owner ESJ Capital Partners plans significant improvements to attractions and banquet facilities. PJG Watson Island, led by Bernard Levine, sold the animal-themed park and its 18-acre ground lease with the city to an affiliate of Aventura-based ESJ Capital Partners, led by Arnaud Sitbon and Gabriel Amiel. The deal received approval from the city, the county and the U.S. Department of Housing and Urban Development, as all three government bodies have outstanding loans with Jungle Island. The buyer said John Dunlap of Iconic Attractions Group would continue to manage the daily operations of Jungle Island. Current employees will be retained as employees of IAG. ESJ Capital said it expects to create more jobs when its renovation plans are completed. The buyers plan a three-phased renovation, starting this summer with a zip line, more children’s adventure play areas, water slides and a crystal lagoon. The owner also plans a private beach club and enhancements to the park’s banquet facilities and food and beverage service. The renovations should take two years.